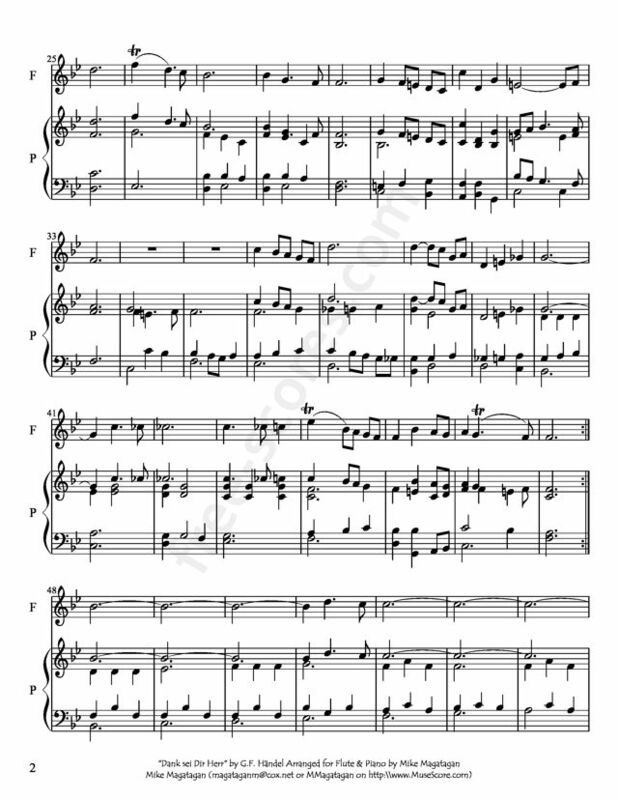 'Dank sei Dir, Herr', is attributed to Handel and is originally composed by the German chorusmaster and composer Siegfried Ochs (1858-1929. This aria was anserted into a German performance of Handel's oratorio Israel in Egypt. Ochs first studied medicine and chemistry at the Polytechnikum Darmstadt (today the Technische Universität Darmstadt) and at the Ruprecht Karl University of Heidelberg. He later devoted himself entirely to music, studying at the Königliche Hochschule für Musik, Berlin, under Schultze and Ernst Rudorff, and later privately under Friedrich Kiel and Heinrich Urban. In 1882 Ochs founded the Philharmonic Choral Society of Berlin, which he would lead until 1920. At first an obscure organization, it became prominent through numerous performances given by Von Bülow, an intimate friend of Ochs. It arguably became the greatest choral society in Berlin and was distinguished for its helpful patronage of young musicians, whose compositions were performed for the first time. 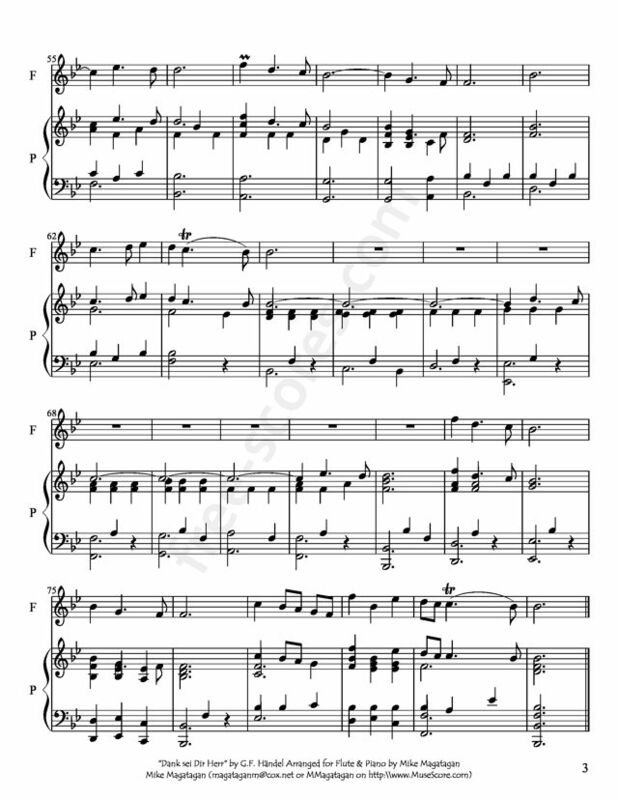 Although originally written for Chorus (SATB) and Keyboard, I created this arrangement for Flute and Acoustic Piano.